I touched on this in The Brits and Us, but I’m not finished harping. If we don’t learn from the redundant British aristocracy, we are, indeed, daft (or just plain foolish). 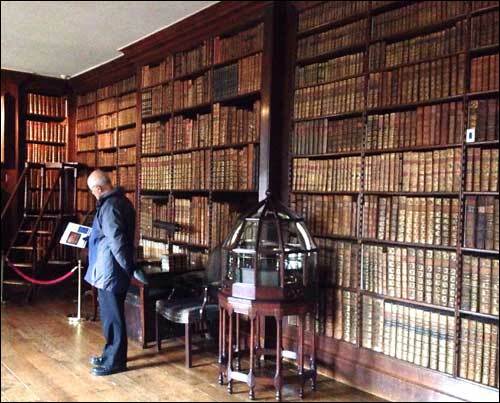 About a month ago, we toured Dunham Massey – located in the Greater Manchester area of England. 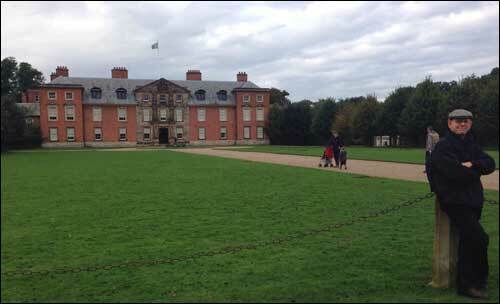 Owned by the National Trust, it’s huge and operated by another trust within NT, called the Dunham Massey Trust. In spite of all this trustiness (read: layers of management), it appears very successful – without seeming too mercenary. They must be doing something right because three very large brick buildings were being constructed to house a larger restaurant, larger gift shop, and conference center – all projected to open for the 2014 season, according to one of the staff. They were also doing some major renovation work on the clock tower. 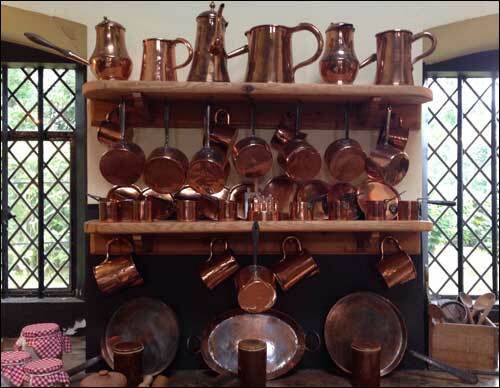 Dunham Massey’s 108 rooms contain 25,000 objects indigenous to the house (collected by its generations of owners). This comes with its own set of problems, mainly maintenance. Five kinds of natural-hair brushes brushes and a special, low-suction Museum Vac are used (with a very light hand) on the furniture and furnishings when the house is closed for the winter. Every object must be cleaned, inspected for damage, and covered with an appropriate dust cover. Light levels, temperature, and humidity levels must be constantly monitored. Even the type of polish used on metals must be such that it can be applied very thinly, e.g., Autosol, a paste brass polish, so as not to excessively wear down the metal. Same for the silver. All winter, this army of NT employees (and a few dutiful volunteers and interns) are on the prowl for their devilishly persistent enemies: furniture beetles; carpet beetles; case bearing moths and larvae; silverfish; clothes webbing moths. They use food traps, blunder traps, hanging traps, and Agrodust to trap the little buggers. And don’t get me started on the horde of craftsmen required to repair, restore, and maintain the stonework, pointing, slate roof tiles, ancient gutters, ancient wiring and plumbing, etc. Then, of course, there’s the platoon of gardeners and other estate workers required to manicure the acres of land surrounding the country house. This same seasonal maintenance is occurring simultaneously in the other National Trust properties and those owned or operated by NT for Scotland, English Heritage, Historic Scotland, and other assorted keepers of British heritage. Are you getting a sense of the number of employees involved? Good. Because that’s the point. As I said in The Brits and Us, for hundreds of years each generation of the British aristocracy knew its job: collect, add, grab, steal, cheat – do whatever it takes – to add to the family estate. Being the dutiful sort, they did exactly what was expected of them. The growing clout of unions made factory jobs safer, more lucrative, and more attractive to the previous in-service crowd. A plethora of inventions, e.g., the typewriter, gave them a wider variety of jobs from which to choose. Great houses, confiscated by the government to serve as hospitals during WWII, were handed back to their owners in rather shabby conditions, as you might expect. It fell to the owners to try to “put it right” – a very expensive job with insufficient cheap labor to accomplish it. Now what? They’ve done what they were supposed to do. 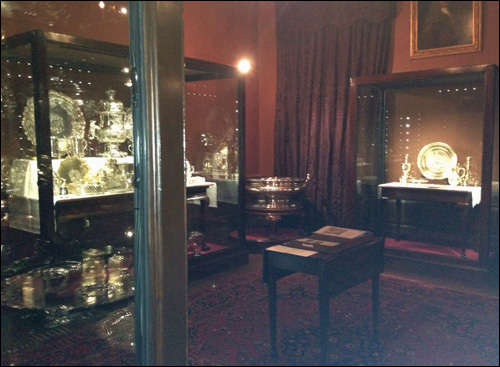 They’ve successfully accumulated 108 rooms of stuff – and have no one to help them use it, maintain it, protect it, show it off, scrub it. The world, as they had known it, had fallen apart. Their world was no longer sustainable. 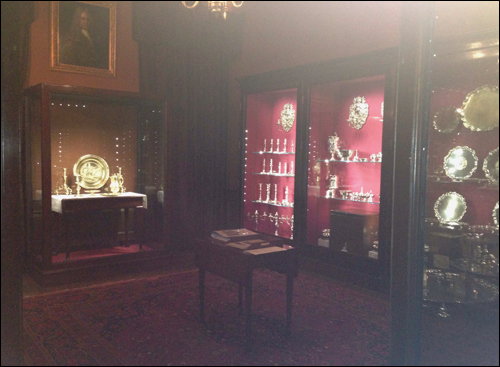 Remember I just commented on how successful Dunham Massey appeared? We found that to be true on many other country estates Why? Today, NT, HHA, HS, NTS employ armies of the very class of folks whose ancestors would’ve been in service. But they’re paid a livable middle-class salary, receive satisfaction knowing they’re preserving their country’s social – though blingy – heritage, and have perks unheard of by their ancestors. Meanwhile, the aristocracy have either turned over the title and keys completely to these NPOs or have struck some sort of deal – living in an apartment or wing of the house their ancestors once had the total run of for a set amount of time (their lifetime or their heirs’ lifetimes). So, ironically, the aristocracy amassed properties which are benefitting the very classes they tried to so very hard to keep subservient for hundreds of years. I said in this in The Brits and Us post, and I’ll say it again: don’t make your life’s work the process of accumulating as much of everything as you possibly can. If you do, someone else (and not necessarily your blood heirs) may well receive the benefit of all your hard work.